If you’re looking to create the ultimate NCAA Man Cave, you’re going to need more than a couple of Fatheads. 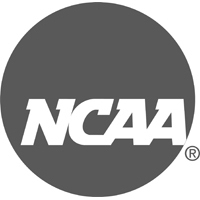 That’s why we carry a huge selection of NCAA billiards products from dozens of the biggest schools in collegiate athletics. Whether it’s the SEC, ACC, Big 10, Big 12 or any of the other power conferences, we’ve got you covered. If you can’t find your team here, chances are we can still get it for you. Just call us at 866-843-3294 and we’ll do our best to track down just what you’re looking for.